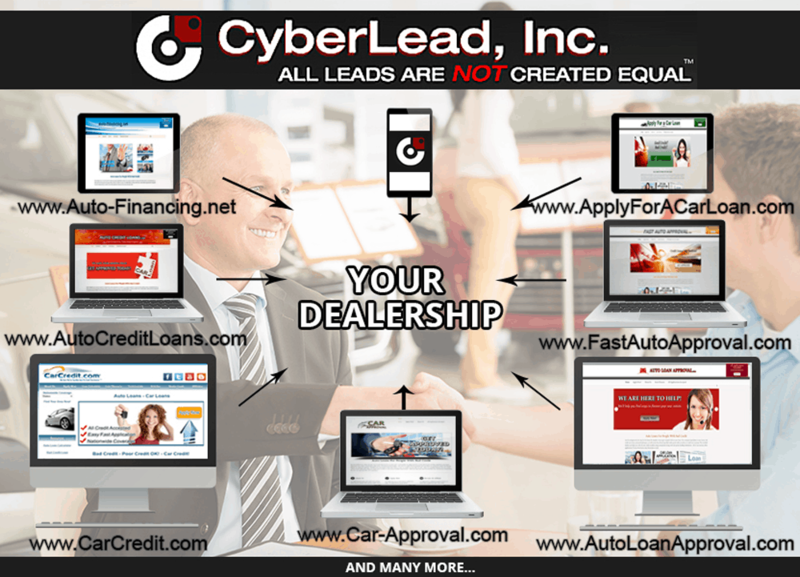 How It Works | Sub Prime Auto Leads - Car Sales Leads - Special Finance Car Loan Leads by CyberLead, Inc. 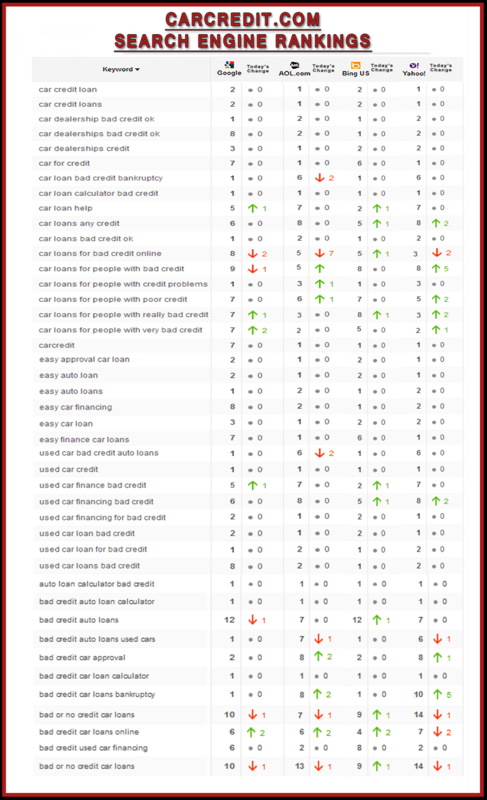 Here are some examples of our highly ranked web properties–Click on any one to view the customers experience. The end result is a completed credit application from a real time car buyer who is anxiously awaiting contact from a local dealership. 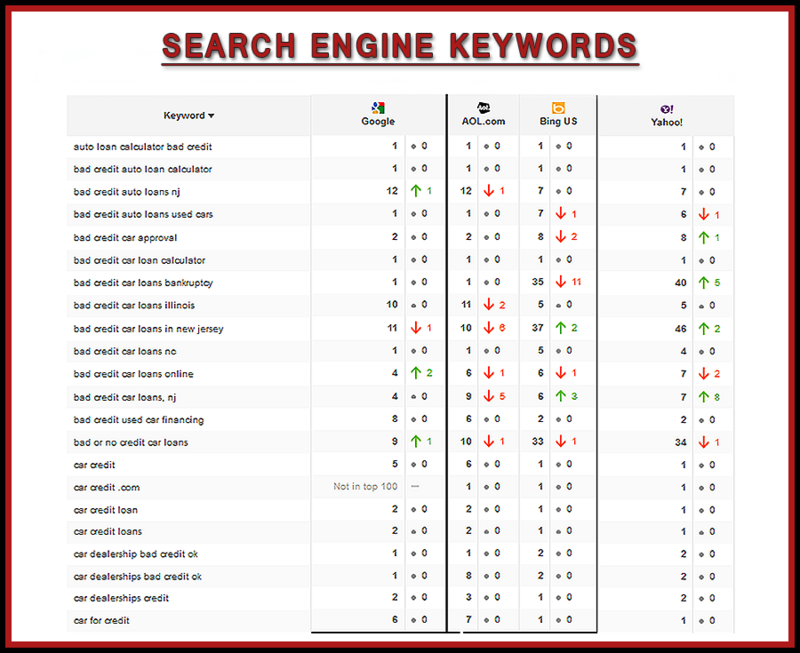 A snap shot example of current keyword search results for today Thursday, July 27 2017. Our marketing team works diligently every day to make sure our sites are ranked on all the major search engines. All leads are presented to you in the industry standard format of ADF (Auto-lead data format) and can be easily delivered via email, text and directly to any CRM. All fields must be complete and accurate to be accepted and passed to our dealer customers. 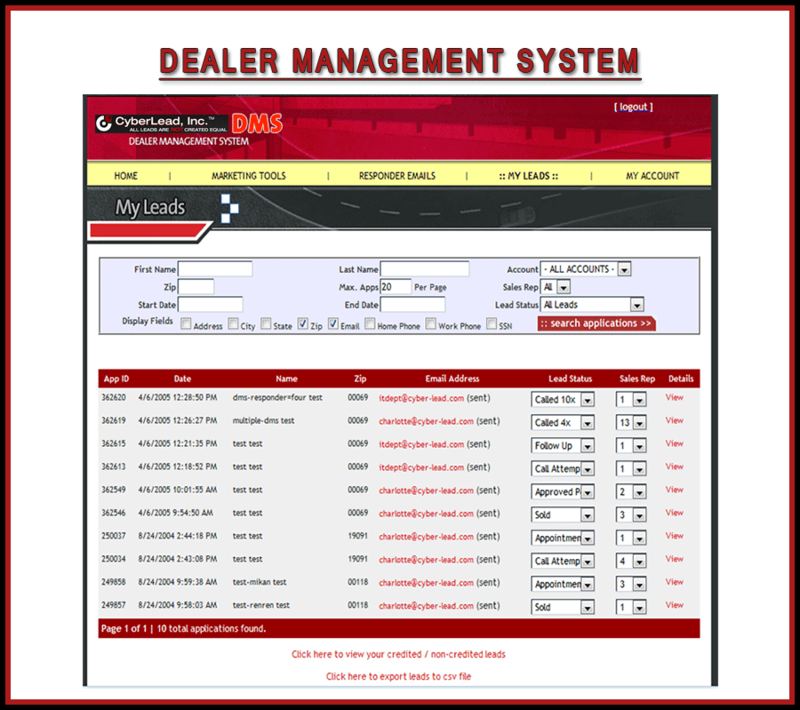 Our proprietary Dealer Management System (DMS) is provided free of charge to all of our dealer customers. 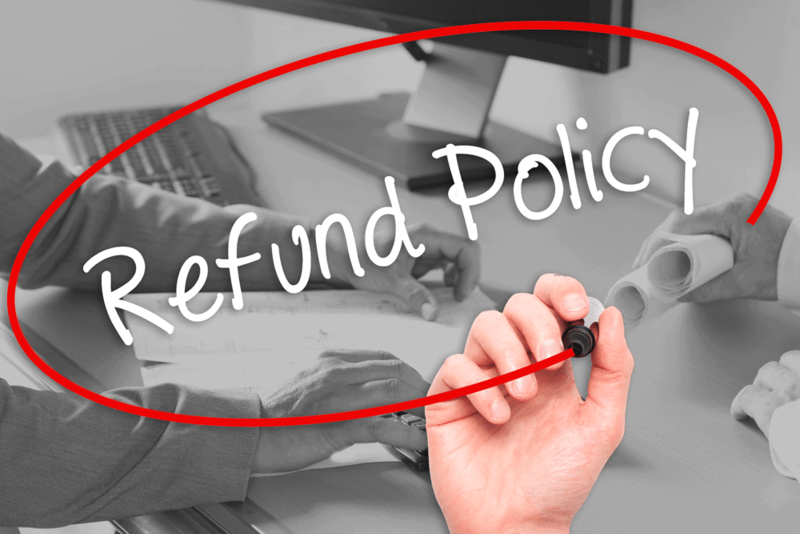 Leads can be tracked, worked, and even returned if invalid from this system. 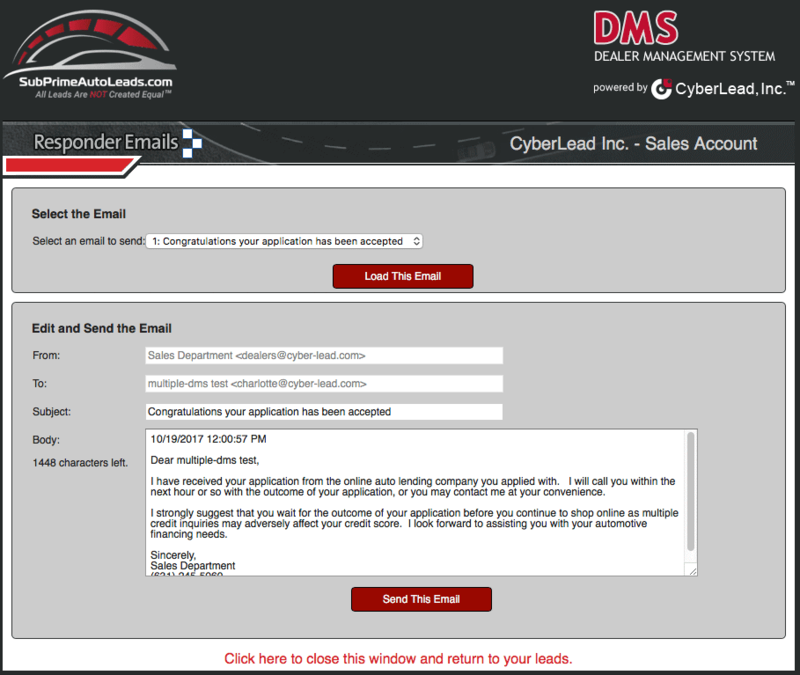 The DMS system will also enable the dealer user to set up customized automatic response emails. This greatly improves the customers experience; giving them the sense of completion and preventing them from continuing to apply. All lead data is archived in the DMS and mass emails can be set up to be sent weekly/monthly or at any time interval the dealer wishes. 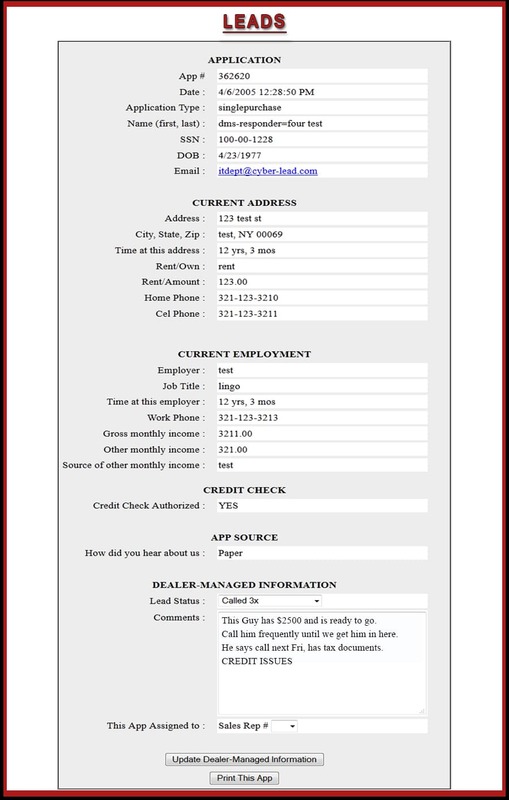 Every single lead delivered to our dealer customers will also receive a post card mailer with the customized contact information of the dealer. The customer will easily make a connection between your contact efforts and this mail piece. Many times your phone will ring with an eager buyer on the other end. No point of contact – phone numbers are disconnected or no such person at the number. Applicant looking to refinance an existing motor vehicle loan. 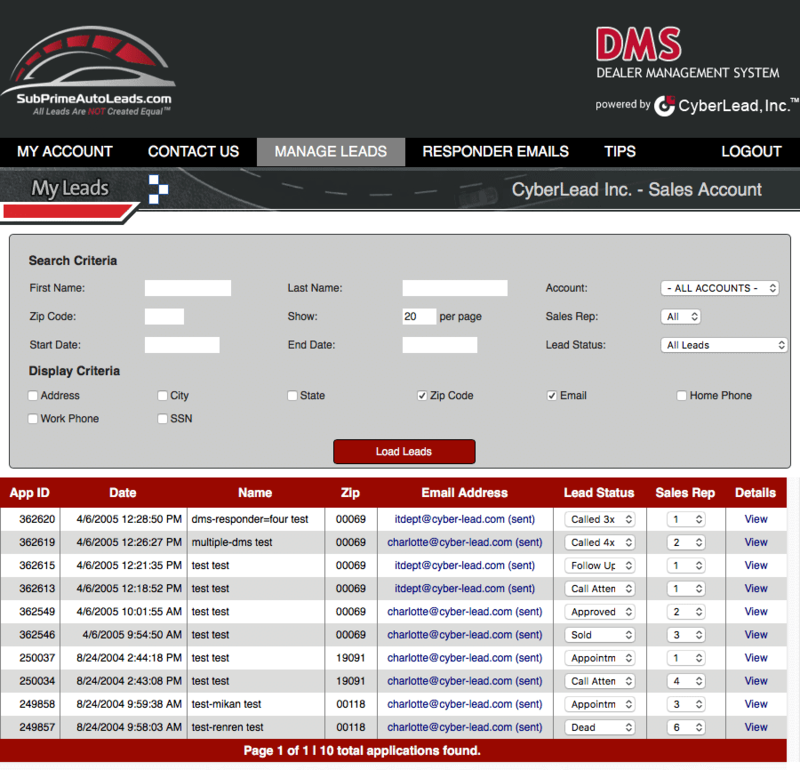 Duplicate leads from Cyber-lead within 30 days. Applicants outside your designated zip code area stated on the agreement. Applicants looking to buy something other than a car, truck, or SUV. Example Motorcycle. Applicants with monthly income lower than specified on agreement. The best domains mean the best leads! We connect auto dealerships with more customers. 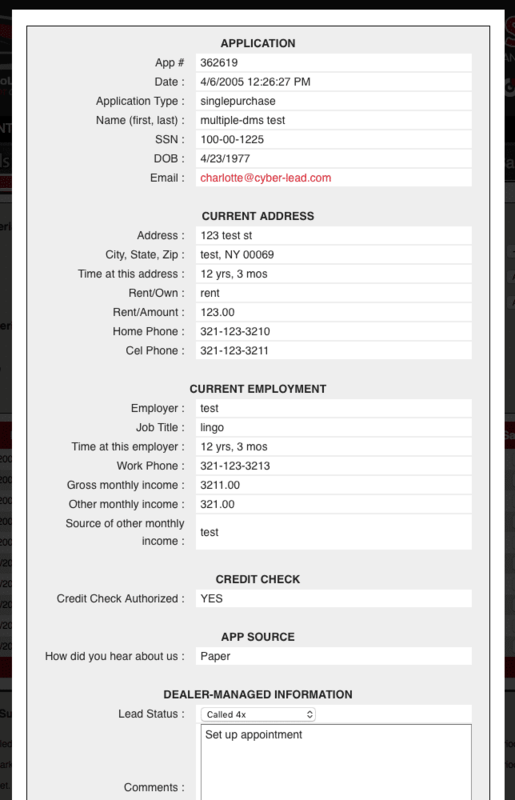 Sign up today and start receiving exclusive, verified auto leads in real-time.